As the only WCDMA carrier in China, China Unicom signed a two-year agreement with Apple back in September of 2010 to offer its iPhone subscribers the handsets at reduced pricing if they agree to 24-month service contracts. But high overhead costs for the devices themselves, coupled with a need for continued investment in infrastructure to support surging growth and data consumption by iPhone users, has China Unicom mulling a move to end contract bundles of the phone come next month. A report by China-based tech.sina.com states that China Unicom 'has not substantially profited from sales of iPhone 4' and therefore may not re-sign its agreement with Apple to continue sales of the iPhone 4S or a new version of the phone widely expected to make its debut in September. Though no further details were reported, it appears that the carrier would continue to carry the iPhone but only market it to customers who are willing to pay full retail price for the device. Although most iPhone carriers offer Apple's latest device to customers at prices between $199 and $399 USD, they actually purchase the phones from Apple at much higher costs, then turn around and subsidize the handsets for customers, banking on recouping the overhead costs and making profits through two-year, high-margin service agreements. For its part, China Unicom has been amongst the most aggressive with its subsidies, and earlier this year began offering the 16GB iPhone 4S at no cost to customers who sign up for multi-year service contracts for as little as $45 USD per month. 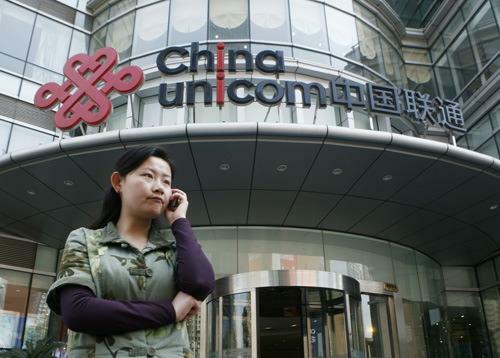 With more than 125 million subscribers, China Unicom is China's second-largest cell phone service provider. It's also the tenth-largest worldwide. But its 3G business has reportedly been a money-losing operation, with high smartphone subsidies —like those required for the iPhone — accounting for 45% of its overhead. As of January, the average selling price of an iPhone —or the price charged by Apple to carriers —was roughly $660.